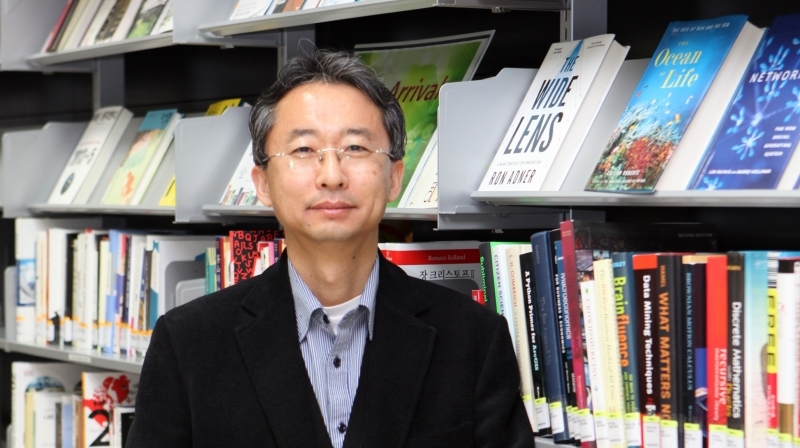 Prof. Sang-Young Lee (School of Energy and Chemical Engineering) is posing for a portrait at his office. A Korean research team, affiliated with UNIST has successfully developed the world’s first fundamental technology to power the next generation of lithium ion batteries. On October 12, the National Forestry Science Institute of the Korea Forest Service (Director General Young-Kyoon Yoon)announced that its research team succeeded in developing a new technique to manufacture a high-capacity and flexible paper battery, using electrodes and nanopaper separator membranes made from tree cellulose. The research was jointly conducted by Dr. Sun-Young Lee of the Korea Forest Research Institute (KFRI), part of the Korea Forest Service and Prof. Sang-Young Lee (School of Energy and Chemical Engineering) of UNIST. According to this joint research team, this new nano-cellulose battery can last three times longer than the current generation of lithium-ion batteries. In comparison with conventional cells, 1D nanobuilding block-based SEAs are characterized with highly interconnected, uniform electron pathways and porous structure, thereby providing significant improvements in the electrochemical performance. The research results were first published in the online edition of the international science journal, Nano Letters on September 16 and the technology is now patented at home and abroad. The team’s work was also featured on the cover of the October issue of Advanced Functional Materials, an internationally authoritative magazine in the Nanomaterials sector. 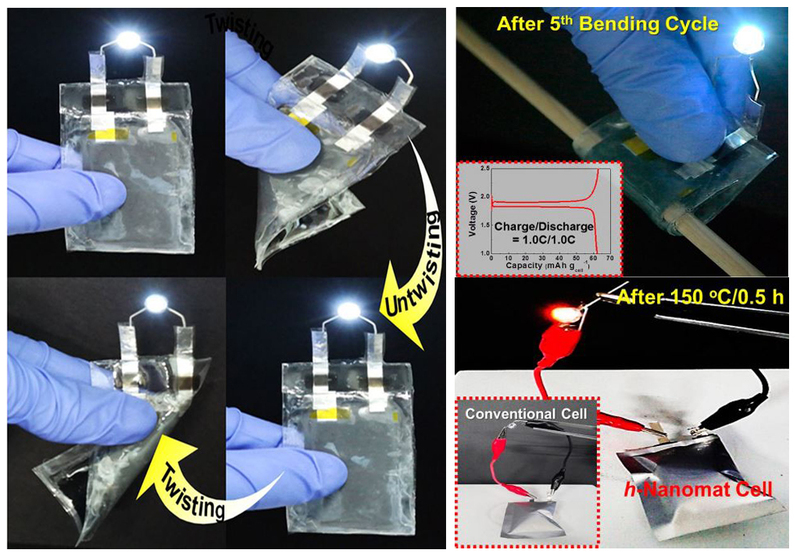 Flexible paper lithium-ion batteries can function as batteries even when their shape is changed by external pressure. The global lithium-ion battery market is about KRW 22 trillion (approx. USD 20.5 billion) in 2013 and it is expected to expand up to 160% by 2018. The team believes that the new battery technology will raise the competitiveness of South Korea’s secondary batttery industry to build a competitive edge in the growing global market. This work has been supported by Energy Efficiency and Resources R&D program under the Ministry of Knowledge Economy, Republic of Korea. This work was also supported by the BK21 Plus Program, funded by the Ministry of Education (MOE, Korea) and National Research Foundation of Korea (NRF). Keun-Ho Choi, Sung-Ju Cho, Sang-Jin Chun, Jong Tae Yoo, Chang Kee Lee, Woong Kim, Qinglin Wu, Sang-Bum Park, Don-Ha Choi, Sun-Young Lee, and Sang-Young Lee. “Heterolayered, One-Dimensional Nanobuilding Block Mat Batteries.” Nano Lett., September 16, 2014, 14 (10), pp 5677-5686.